Sometimes the inside of a tooth can become infected, causing pain and swelling. If you experience such symptoms, this may indicate a problem with the soft tissue or dental nerve and you could require root canal treatment. 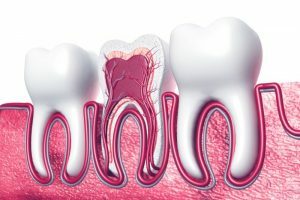 Also known as endodontic treatment, root canal therapy is a delicate procedure which aims to relieve you of any discomfort. The inside of a tooth may become vulnerable to infection when the outer enamel cracks or breaks. Bacteria can enter the internal structure of a tooth, resulting in infection. 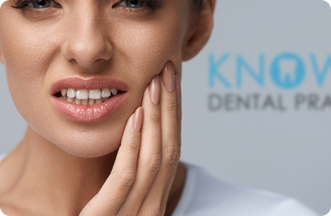 At Knowle Dental Practice, our dentists perform root canal treatment to remove the infection and clean the inside of the tooth. This procedure is performed under local anaesthetic so the affected area will be completely numb. Once the treatment is complete, we will normally use a crown to rebuild and strengthen the natural tooth.